On a hot summer day in Manhattan to look for many creative ways to refresh ourselves. If you can’t get to your nearest park to run through the sprinklers (and if taking a shower midway through your work day is not an option…) then these three fragrances will definitely come in handy. Here is a bit of history around three of our most refreshing fragrances. Beginning with Jean Marie The original Eau de Cologne is a spirit-citrus perfume launched in Cologne in 1709 by Giovanni Marie Farina (1685–1766), an Italian perfume maker from Santa Maria Maggiore Valle Vigezzo, Italy. In 1708, Farina wrote to his brother Jean Baptiste: “I have found a fragrance that reminds me of an Italian spring morning, of mountain daffodils and orange blossoms after the rain”. He named his fragrance Eau de Cologne, in honor of his new hometown. The fragrance quickly became an essential for all of the royal families of Europe. The original formula has stayed in the family for 8 generations and to this day the company headquarters and birthplace of Eau de Cologne are both located at the Farina House in Cologne, Germany next to the Farina Fragrance Museum. In 1803, Wilhelm Mülhens illegally obtained the license and company rights from a Carlo Francesco Farina, who had no right to sell the formula, and began selling a variation of the original. As a result. in 1881 Ferdinand Mülhens received a court order to stop using the Farina company name. So he picked his house address number, 4711, as a new name for company and its product. 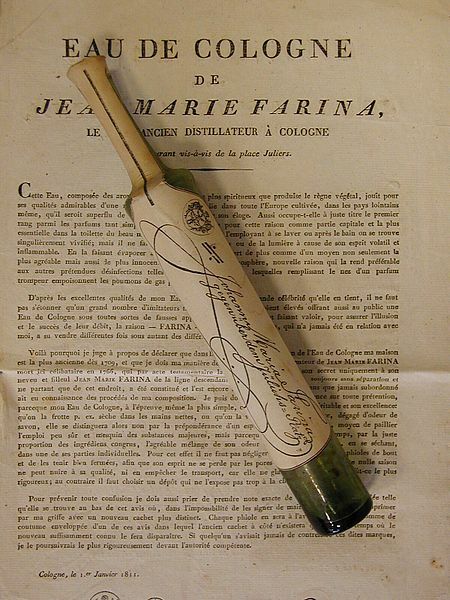 Jean Marie Joseph Farina, the great-grand-nephew of the originator, Giovanni Maria Farina came up with a variation of his own and in 1806 opened his own perfume business in Paris. Roger & Gallet Jean Marie Farina Eau de Cologne is now sold worldwide. 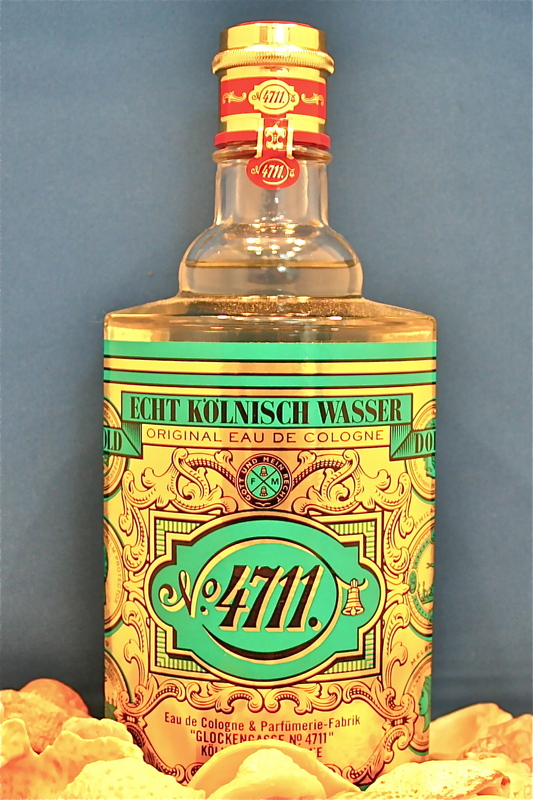 In contrast to the Original Eau de Cologne this is only available from Cologne. Later on in 1899 in Madrid, Spain another classic family perfumery opened. 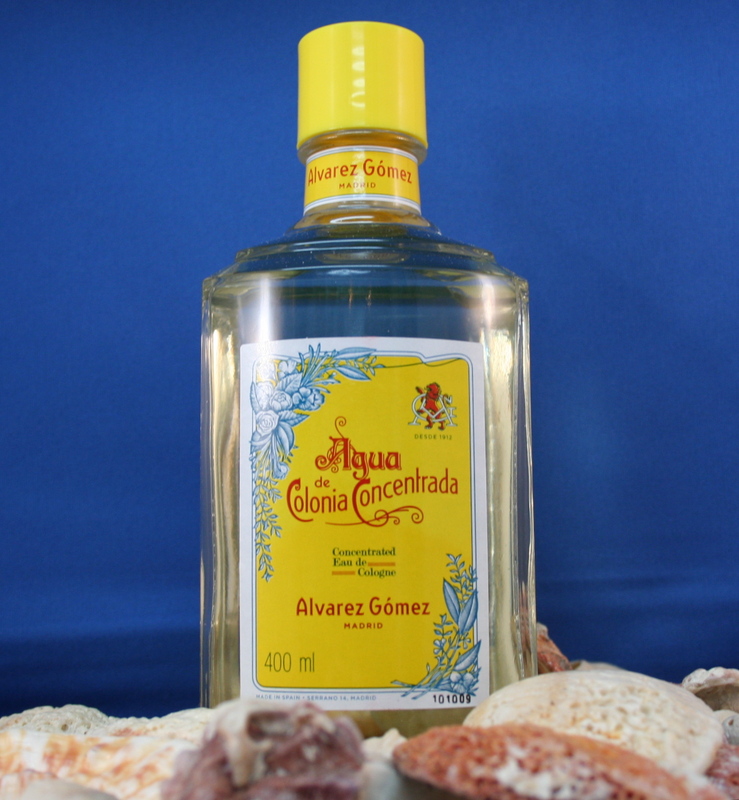 Alvarez Gomez opened his shop and developed his own variation of the Original Eau de Cologne. So today you can experience all three refreshing knockoffs right here in SoHo, NYC. Each fragrance has its own subtle differences and each one is equally refreshing, invigorating and enlightening. We hope you stop by during your hot summer walks through the streets of SoHo for a little spritz of refreshment.